Low credit score borrowers face a tough choice—lock into a high-interest loan or forgo credit in the hopes of improving credit and securing a better rate in the future. Ascend provides improving-credit borrowers with a third choice: get a fair rate today with a path to dramatically lower rates by demonstrating financial responsibility. By incenting reduced consumer debt, increased savings, and limited credit card spending, Ascend reduces risk on current loans and rewards the borrower by lowering interest payments. Ascend is working to integrate that real-time approach throughout the life of a borrower’s loan. Its first product, RateRewards, gives borrowers with credit scores between 580 and 660 the option having their financial health monitored month-to-month to lower their interest costs based on displayed good financial behaviors. While Rate Rewards is optional, half of Ascend’s borrowers choose to opt into the program and, of those, half end up saving an average of $300 over the life of their loan, says Carlson, who co-founded Ascend in 2014. Carlson knows all too well that the non-prime consumer finance market is ripe for change. 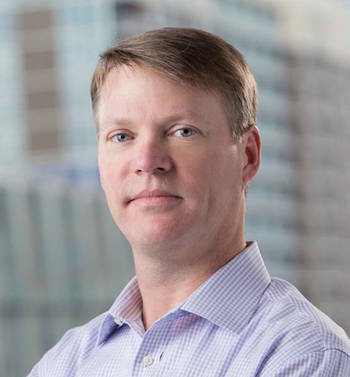 The former head of marketing and business development at Intuit Financial Services — where he worked on Mint.com and Quicken – Carlson has also worked at HSBC and Washington Mutual, advised and invested in multiple other startups, and sits on the Consumer Financial Protection Bureau’s Consumer Advisory Board. RateRewards’ adaptive risk pricing model monitors borrowers in real-time on three specific behaviors, and rewards good behavior by decreasing their interest expense up to 50% each month. For instance, a borrower who reduces her overall debt level by at least $50 a month gets a reduced interest cost of up to 10% over time, as would a borrower spending less than $50 a month on credit, or putting at least $50 a month into a savings account. Achieving all three behaviors results in a combined 30% monthly interest expense reduction. Additionally, much like a home equity loan – which lets borrowers use the value of their home as collateral – the RateRewards program allows borrowers to pledge their auto title as collateral for a loan, which automatically cuts their interest cost by 20% each month. “Why shouldn’t a non-prime customer be allowed to leverage an asset for lower interest costs, just as prime customers do everyday?” says Carlson. With help from the Financial Solutions Lab, Ascend has had the opportunity to connect with executives in the banking and lending world who are able to share their industry know-how with the company. “JPMorgan Chase has pulled out the red carpet for us. A company at our stage typically would not get anything like this,” says Carlson, who has also had the opportunity to work with a range of firms through FinLab, including behavioral economics firm ideas42 and legal counsel Bryan Cave.